After a year or so of struggling with a hand-me-down serger I inherited from my grandma, I finally broke down and bought myself a new one. It’s a Babylock Eclipse– their least expensive model with air-threaded lower loopers. I hadn’t even really thought I needed a serger until a year and a half ago when I took a sewing class at a local community college right after I came back from Tonga. When I realized just how easy they are to use and how quickly and nicely they finish seams, I saw what I had been missing all that time. I knew I had to have one! I dug the Pfaff Hobbylock serger that I had inherited from my grandma out a box in the garage and took it in to get a tune up. Despite being stored in a garage for about three years (a HUGE no-no for sewing machines, FYI), it still worked, albeit with some issues. It was still kind of sluggish and I had to turn the go-pedal plug to just the right spot to make it start and stop (a very annoying feature). To top it off, threading the lower loopers was a nightmare! 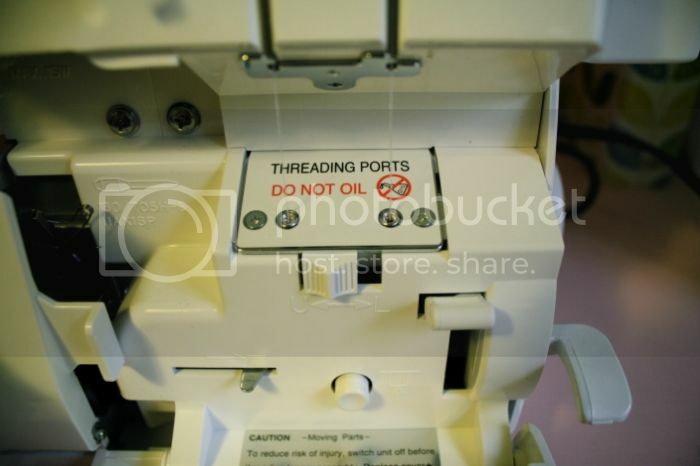 I never figured it out, even going through the manual step-by-step, and I had to take it to the sewing machine repair place just to get it threaded. It finally bit the dust when I was working on my Laurel dress in April and I just decided I wasn’t putting any more money or time into it. My plan at that time was to save money for a while and get a nice air-threading serger after a year or so. (Air threading was a must after all of the grief the Hobbylock threading gave me!) However, once I made a few projects without it I missed having a serger too much! I read Sunni’s post on how much she loves her serger, and my mom was urging me to just buy one, so I decided to take the plunge. 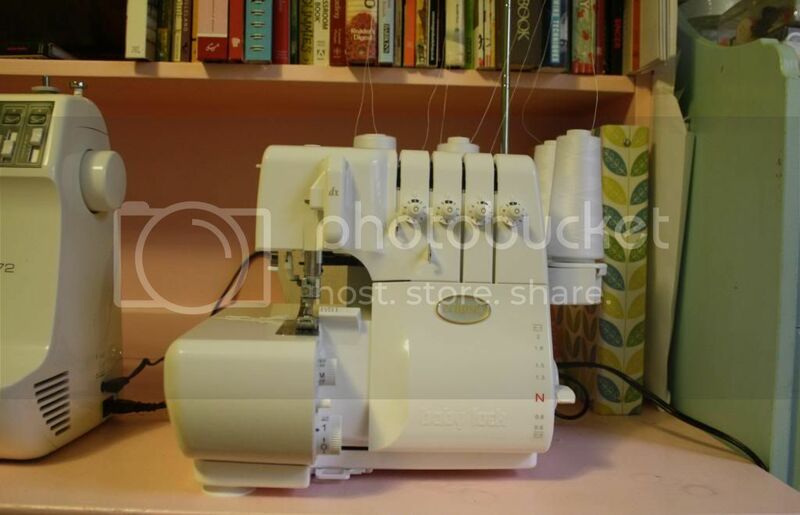 Luckily, my local sewing store offers payment plans, so I was able to get this air-threading model for a monthly price I can afford (and trade in my old one!). I’ve already used my Eclipse once and it works like a dream and is very easy to thread. I’m signed up to take the beginners course next month and I’m excited to learn more about what it can do with it! I was really debating between this model and the model above it, the Babylock Imagine, which has air threading for the top as well and doesn’t need to have the tensions adjusted. I decided that for what I’ll most likely be doing with it- finishing seams, the Eclipse should be just fine and I probably didn’t need to spend another $600 for fancy features I probably wouldn’t use. Anyway, the store has a 90-day exchange policy, so I can always change my mind in the next couple of months! What do you think? 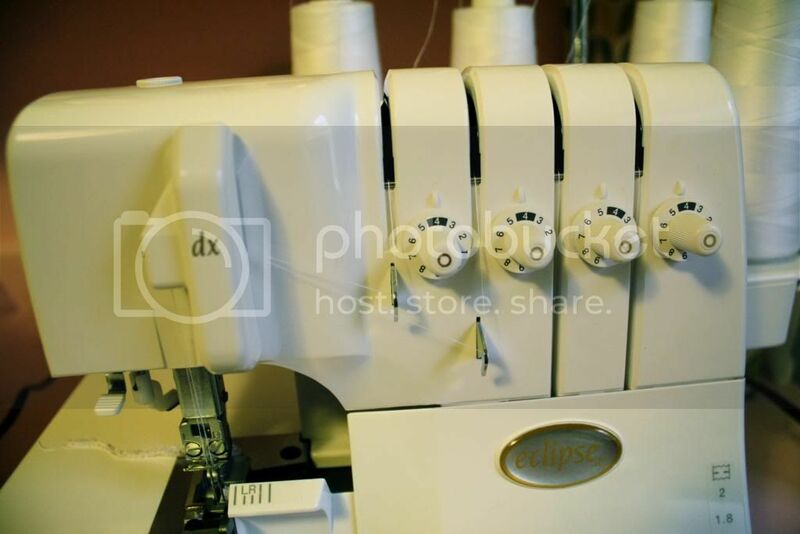 Do you use a serger? Is it an essential part of your sewing or just an “extra”? And has anyone tried the Babylock Imagine or Eclipse? I’d love to hear from you! 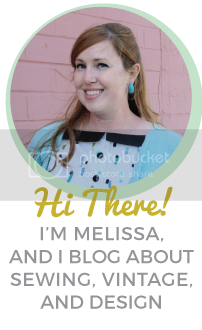 ← Blogivarsary Week- New Design and Facebook Page!